“If communication is the lifeblood of an organization, it could be fair to assume that Exchange functions as its heart”. There should be but little doubt in the importance of using Exchange to keep the company going, still, there are threats caused by misuse of Exchange far too often to neglect its security. It must be understood at all times, that internal misuse is just as dangerous for a company, as an external attack. Thus it is crucial to know your way around Exchange, to be aware of all operations that can lead to a better security and to follow the rules of “Exchange hygiene”. 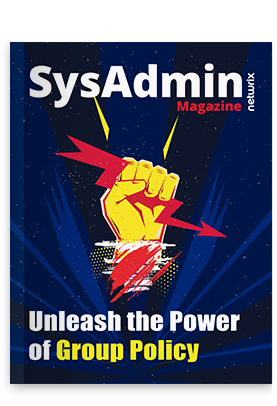 The fourth issue of “SysAdmin Magazine” is out and “farced” with useful IT tips and tricks to establish and maintain security of Exchange server. But wait, there’s more! Find some recent news of IT industry regarding malware threats and advice on how to handle Exchange server auditing. Dig in and make sure, “the heart” of your organization is danger-proof!